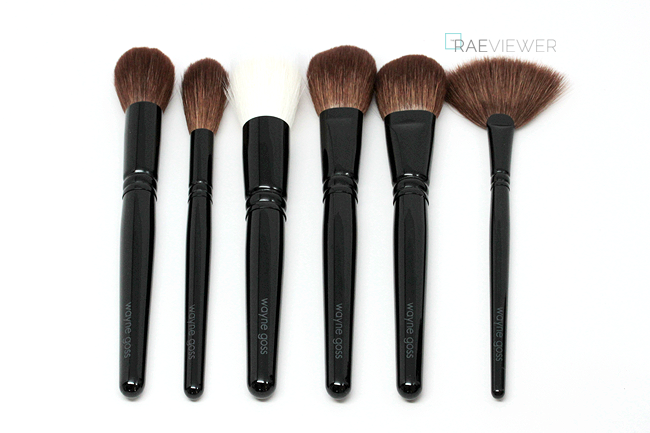 I absolutely adore Wayne Goss makeup brushes. They are luxury tools, but well worth their price tags. The bristles are soft and plush with just enough resistance to use with any makeup medium. 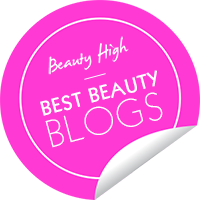 Wayne's quality surpasses even than of famed fude house Hakuhodo, so to celebrate the return of many of his brush offerings at Beautylish, I will be sharing my must-haves after the jump! 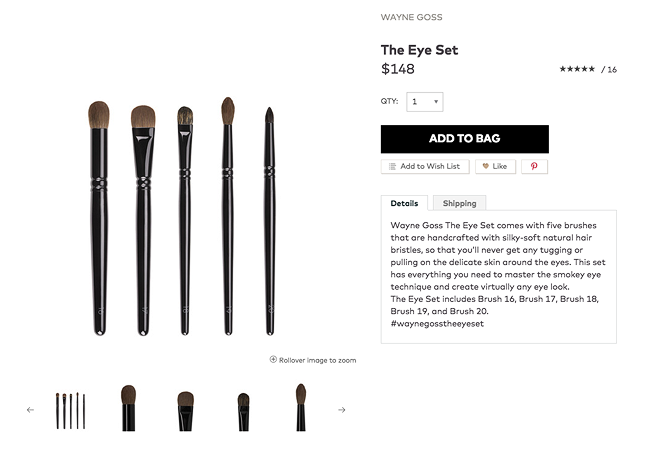 Why were Wayne's brushes out of stock to begin with? You see, his brushes are handmade by Japanese artisans. They meticulously craft each brush, refusing to sacrifice traditions of their trade for the lure of profit, so the process requires time — a lot of it. Treasure each brush because they were meant to be loved! 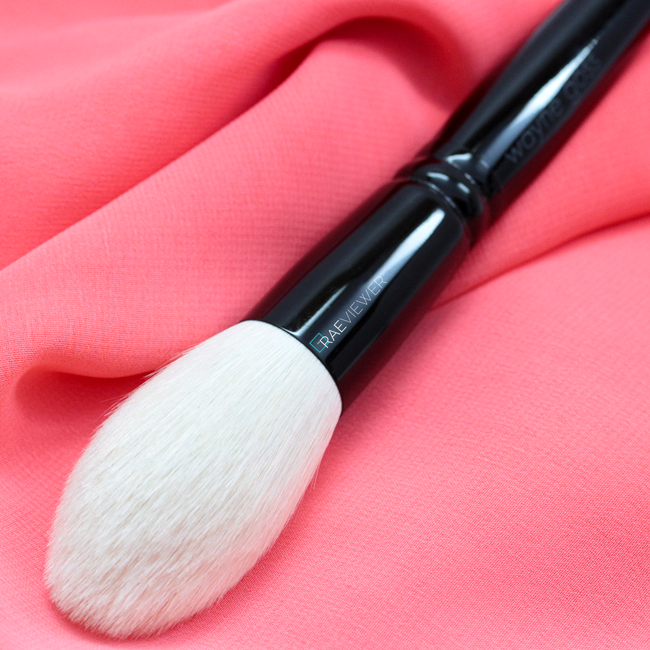 My top pick from the Wayne Goss Collection is his Holiday Powder Brush ($85). Prior to the launch, I had been faithfully dedicated to my Hakuhodo S103 with its show-stopping vermillion handle ($103). The packaging junkie in me still love the packaging, but WG's Holiday Powder brush blows the S103's brush head out of the water. The Wayne Goss version is ultra tapered, so it is easier to maneuver into the tight corners around my nose and eyes. 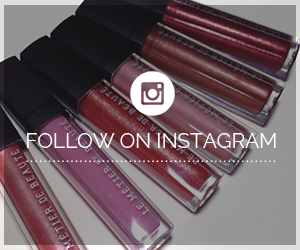 You can use it to apply any type of powder, from bronzer to highlighter to mineral foundation. It is so versatile that I purchased 2 and plan to buy 2 more! They should be back in stock eventually. I do hope they'll deem it a permanent addition to the lineup and change the name from Holiday to perhaps Brush 21 or The Powder Brush, but either way, I'm just overjoyed it'll be back in stock eventually! Next up is The Face Set, which is the best value for money and also slated to be back in stock very soon. If you are a working professional or simply need to upgrade your brushes, I highly recommend this set ($265). You do get more for your money when you invest in face brushes as opposed to eye brushes, simply due to the density and length of the powder brushes. I have a comprehensive review of The Face Set here, with detailed functions and comparisons of each brush if you're interested in learning specifics. 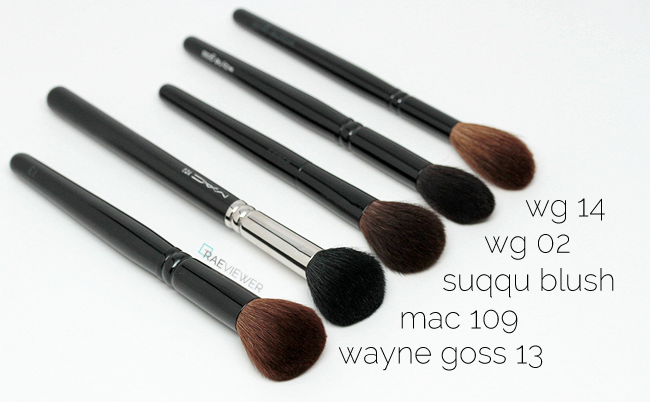 Wayne's brushes are, overall, ideal for precision base makeup and color application. I personally reach for Brushes 12 and 14 most. If you're looking to purchase individuals from the Face Set which are largely available, I do recommend his most best-selling style, Brush 13 ($53). It still says 'returning soon' on the website, but you can hit "ADD TO BAG" and successfully check out. You can use it to buff in liquid of cream foundations, but I also recommend it for applying sheer powder blushes. The brush head is ultra dense so it helps build pigmentation. I just love this particular style because it is reminiscent of the infamous MAC 109, which is quite popular but sheds and bleeds for more than five years after purchase (literally). I gave up and tossed mine into the bin after discovering Wayne's Brush 13. The Eye Set is also back, and if you have sensitive or delicate eyes, you absolutely need these five ($148). Considering the silky-soft quality and individually unique shape of the brushes, they are worth the investment. Brush 16 can be used for all over color or under-eye concealer application, white Brush 16 is perfect for general work all over the lid and even on the lower lash line. I like Brush 18 for precision placement of highlighter, like on the center of the lid or under the brow bones. Brush 19 is my favorite blending brush that Wayne makes! It softly diffuses transition colors without muddling up all my work. Brush 20 is his pencil style, which you can use to place highlighters in the inner corner or use to blend out a smoky outer-v. If I had to choose just one eye brush from The Eye Set, it would be Brush 19 ($27). I am addicted to crease brushes because on days when I'm not filming, I tend to wear a single swipe of a shimmery eye color all over the lids. I choose the lazy route with a single color, but you can accomplish an entire multi-layered eye look with Brush 19! 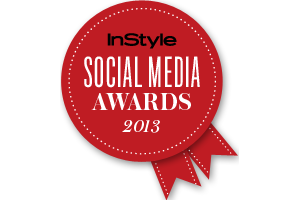 That's a wrap for my Top 5 from Wayne Goss! If you have small hooded eyes or you prefer to wear smudged powder eyeshadow as eyeliner, then stick to Brush 20. I am interested in getting the WG's face set and also their brush 00.... however, after seeing the introduction video for the face set... i'm so confused by the descriptions of most of the brushes included in the set because he mentioned that most of them can be used for putting on powder including setting powder, blush, highlight and bronzer..... these led me to think that whether I should get individual brushes instead of buying the set.... any advise?